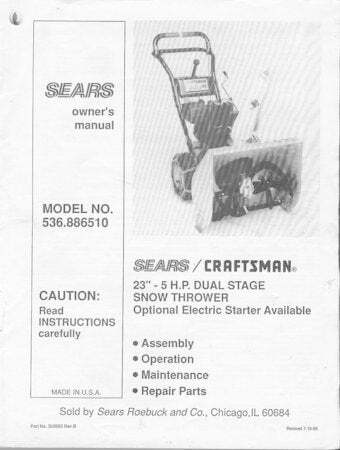 I recently bought a older Craftsman snowthrower # 536.886510. It's a 5HP 23" model. I'm looking for a owners manual for it so I can maintain it. It runs great so I want it to continue.... The manual has been discontinued on the Sears parts website.